A simple white button mushroom could be used as a platform to produce a substantial amount of electricity by fusing the vegetable with bacteria and nanotechnology. A team from the Stevens Institute of Technology have supercharged an ordinary white button mushroom with clusters of tightly packed 3D printed cyanobacteria and swirls of graphene nanoribbons that can collect current and produce electricity. Cyanobacteria has been well known to produce electricity, but have been limitedly used in bioengineered systems because they do not survive long enough on artificial biocompatible surfaces. 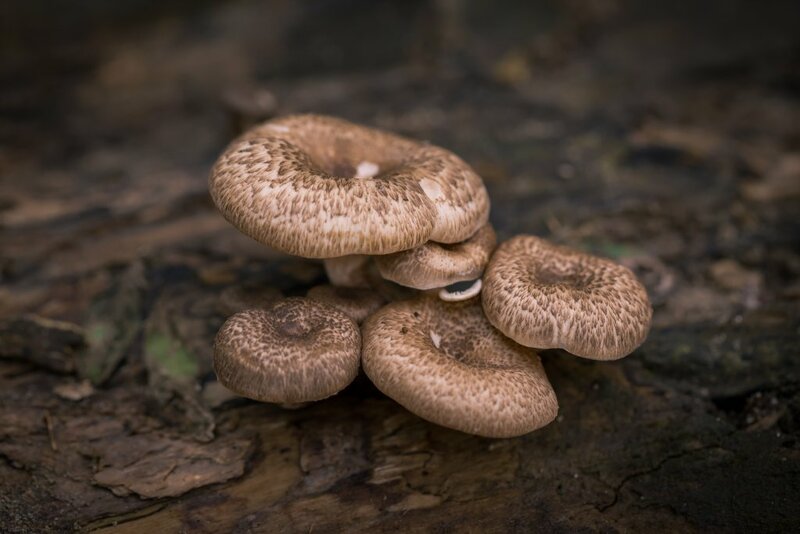 To overcome this challenge, the researchers found that white button mushrooms, which naturally host a rich microbiota, could provide the right combination of nutrients, moisture, pH and temperature for the cyanobacteria to produce electricity for a longer period. The researchers then used a robotic arm-based 3D printer to print an electronic ink that contains graphene nanoribbons and serves as an electricity-collecting network on the mushroom’s cap by acting like a nano-probe to access bio-electrons generated inside the cyanobacterial cells. They then printed a bio-ink containing cyanobacteria on top of the mushroom cap in a spiral pattern intersected with the electronic ink at multiple contact points. At these locations, electrons can transfer through the outer membranes of the cyanobacteria to the conductive network of graphene nanoribbons and shining a light on the mushrooms activated the cyanobacterial photosynthesis to generate a photocurrent. They also found that the amount of electricity the cyanobacteria produce varies based on the density and alignment with which they are packed. For example, the more densely packed together they are, the more electricity they produce. 3D printing makes it possible to assemble them in a way that boosts their electricity-producing activity eight-fold more than the casted cyanobacteria using a laboratory pipette. “With this work, we can imagine enormous opportunities for next-generation bio-hybrid applications,” Mannoor said. “For example, some bacteria can glow, while others sense toxins or produce fuel. “By seamlessly integrating these microbes with nanomaterials, we could potentially realize many other amazing designer bio-hybrids for the environment, defense, healthcare and many other fields,” he added. The study was published in Nano Letters.